Born in Japan in the 1940s and ending a distinguished Air Force career as a colonel, Jim Sterzinger’s life has taken him to many places. No place, however, is like the place where Jim ended up — moving to where his family roots have grown deep for more than a century. 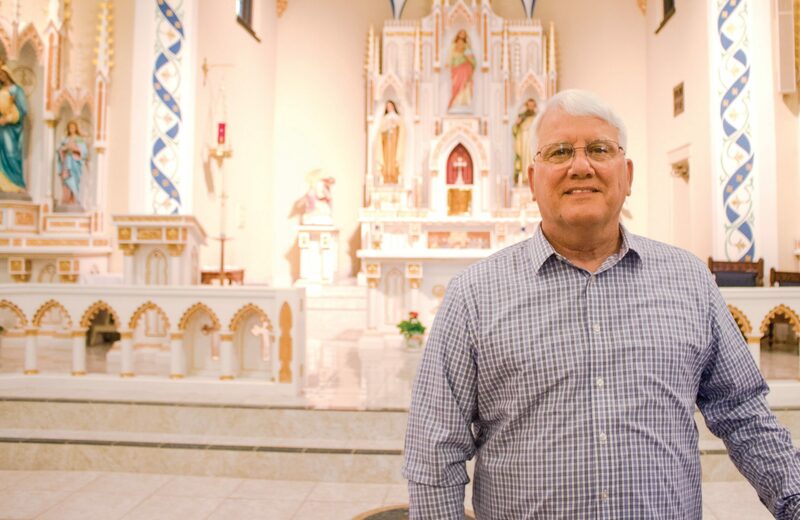 Jim made his home more than 20 years ago in Colby and continues to build on his family’s legacy throughout the community and, in particular, at St. Mary Help of Christians Parish. 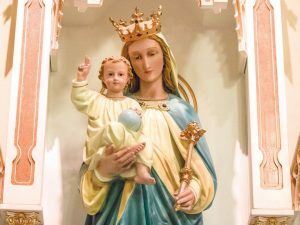 St. Mary is a parish that generations of his family have built up to become the parish one can see today. 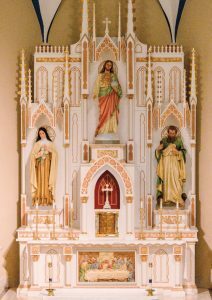 In a small community like Colby, seeing a vibrant, thriving parish, beautiful church and Catholic school creates excitement for all who can experience and observe them. The first Catholic school for the community was built in 1894. The present building the school uses was built in 1937 and continues to provide energy and excitement to the parish life. On average, the school enrolls more than 100 students. The big drive was — this is a beautiful church now. 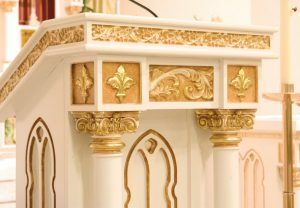 The parish wanted to return to a beautiful church and they thought it would bring us closer together — and it has.